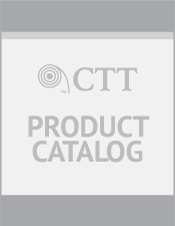 CTT Jet Hammer Tool | Coil Tubing Technology, Inc. The CTT Jet Hammer Tool creates rotational motion and axial impact energy to remove objects from a wellbore. The tool works under the same principal as a jackhammer cycling up to 2,000 impacts per minute. The CTT Jet Hammer Tool is used for the removal of scale, sand, cement, barium and paraffin from production tubing and the tool is also effective in shattering glass and ceramic discs placed in the well. This jet hammer tool can be powered by water, light drilling fluids, air, nitrogen or other acid media. The tool is easy to operate and can withstand temperatures of up to 500 degrees Fahrenheit. 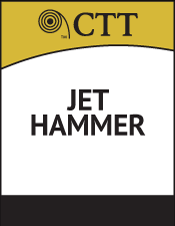 Bits for the CTT Jet Hammer Tool are designed to maximize the penetration rate of the tool by taking advantage of the tool’s unique combination of rotational and percussive impact forces.